The move to provide a better service to the public, relieve pressure in other parts of the NHS and ensure value for the taxpayer follows extensive consultation earlier this year. The government currently funds community pharmacy at £2.8 billion a year. The last time that the way community pharmacies are rewarded and funded for NHS services was reviewed was 10 years ago. During the past decade the budget for community pharmacy has gone up by more than 40 per cent. Government spending for pharmacy will remain at around £2.6 billion a year, and we will ensure that those people in isolated areas with higher health needs will have access to a pharmacy through a new Pharmacy Access Scheme. At the moment, two fifths of pharmacies in England are within ten minutes’ walk of two or more other pharmacies. This forms part of the government’s ambition to modernise the community pharmacy sector and make the most of pharmacists’ skills in all health care settings, including GP surgeries and care homes, to provide the highest level of care to patients. Every penny of the savings made will go into improved NHS services throughout the country, to ensure that patients get the highest-quality provision possible. Pharmacies that might have narrowly missed out on the Pharmacy Access Scheme through the distance criteria, but are in an area of high deprivation will be eligible to ask for a review. This will cover pharmacies that are located in the top 20 per cent most deprived areas in England and are 0.8 miles or more from another pharmacy and are critical to access. Funding for successful reviews will be made available as required from outside of this package. "Patients deserve the best possible care which is why this Government is committed to building a modern pharmacy sector that is fit for the 21st Century. "Pharmacists are a vital source of knowledge and information, as well as providing vital services such as flu jabs, health checks and, of course, dispensing vital medicines. "The public can be reassured that while efficiencies are being asked of community pharmacy just as they are of other parts of the NHS, there is still sufficient funding to ensure there are accessible and convenient local NHS pharmacy services across England. The NHS is committed to a positive future for pharmacists and community pharmacy. NHS England has secured £42 million of funding for 2016-18 for a new Pharmacy Integration Fund being announced today. It will support community pharmacy to develop new clinical pharmacy services, working practices and online support to meet the public’s expectations for a modern NHS. In addition, the NHS is now funding a big expansion of 1500 clinical pharmacists in local primary care clinics and GP surgeries." There are over 11,500 community pharmacies in England, which is up by 18 per cent over the last 10 years - the average pharmacy costs the taxpayer £220,000 a year for NHS pharmaceutical services, including fixed £25,000 ‘establishment payments’ that most pharmacies receive annually, regardless of the service they provide. The new package will phase out the establishment payment and place greater emphasis on rewarding pharmacies for the quality of services provided to the public. A £75 million Quality Payment Scheme will see pharmacies receive funding based on their ability to provide a quality service to the public. Some of the measures which will be used to demonstrate this quality include showing that they are a Healthy Living-Pharmacy to prevent health problems developing, that they publish the results of their patient experience surveys so people can make an informed choice about which pharmacy to go to, and that their staff receive training in how to support patients with conditions such as dementia. NHS England are also introducing a £42 million Pharmacy Integration Fund to transform how pharmacists, their teams and community pharmacy operates within the NHS as a whole. This will help relieve the pressure on GPs and A&Es. 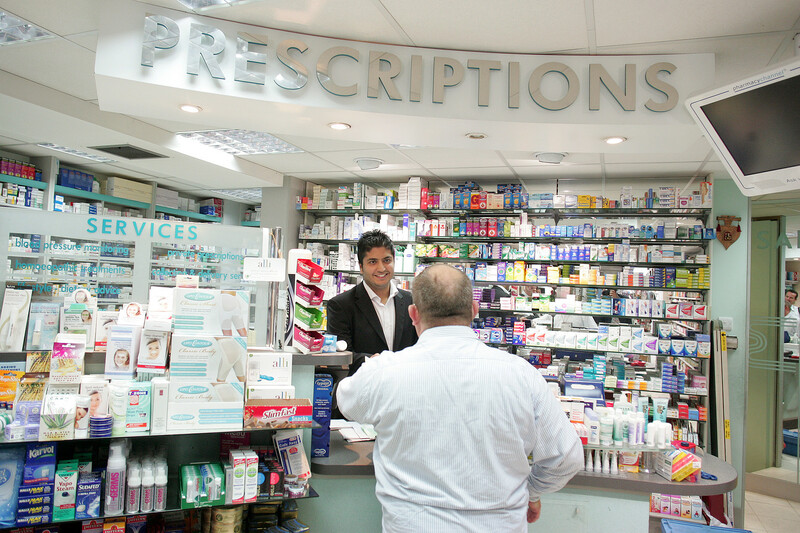 By incentivising pharmacists to make their services available in a range of settings such as GP surgeries and care homes, patients will receive the right service in the right place and this will ultimately lead to fewer people having to go to A&E or attending emergency GP appointments. Beginning in December 2016, NHS England will be working to embed pharmacy into NHS urgent care by expanding the services already provided by community pharmacies in England for those who need urgent repeat prescriptions and treatment for urgent minor ailments and common conditions. This will help to relieve GPs’ workloads, and help to bring about real practical long-term change. The new measures will come into effect from 1 December 2016. A full list of the 1356 pharmacies which will receive the Pharmacy Access payments has been published today. The government is investing £112 million to deliver a further 1500 pharmacists in general practice by 2020. Savings in year one of the package will be £113 million for 2016/17 and £208 million in 2017/18. Funding will be £2.687 billion for 2016/17 and £2.592 billion for 2017/18.